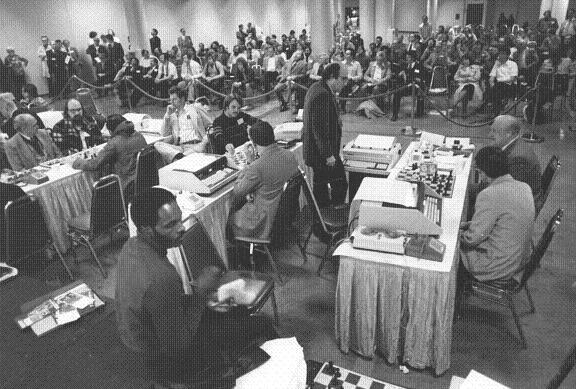 The ACM's Tenth North American Computer Chess Championship (NACCC) was held from October 28 to 31, 1979 at the Detroit Plaza Hotel in the Renaissance Center, Detroit, Michigan, USA  .In attendance at the tournament as guests of ACM were John McCarthy of Stanford University, George Koltanowski, former president of the United States Chess Federation and the world's most famous blindfold chess player, and Max Euwe, former president of FIDE and former World Champion from 1935-1937  . 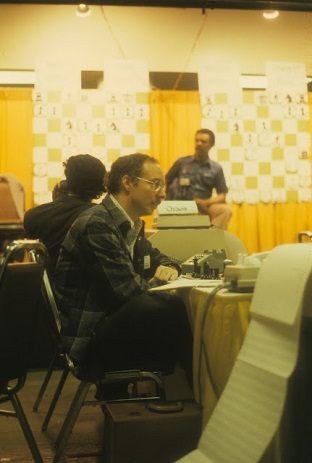 David Levy, International Master from London, served as Tournament Director. John McCarthy awarded the trophies at a conference luncheon on Wednesday, October 31, and called for placing greater stress on the experimental aspects of the tournament. 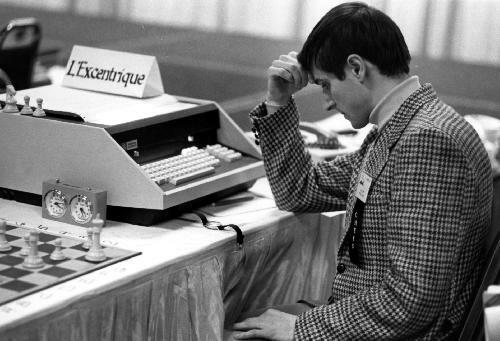 He encouraged the tournament organizers to require programs to print out more of the important information leading up to their choice of moves. This would permit a clearer understanding of why the computers play as they do. 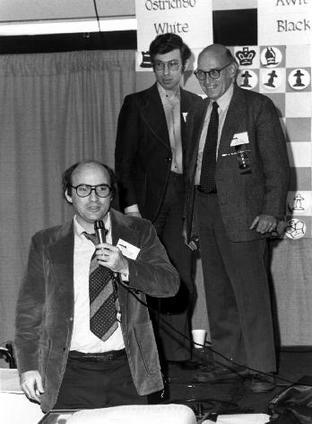 Koltanowski and Euwe mixed with the participants and from time to time came to the stage to assist David Levy. 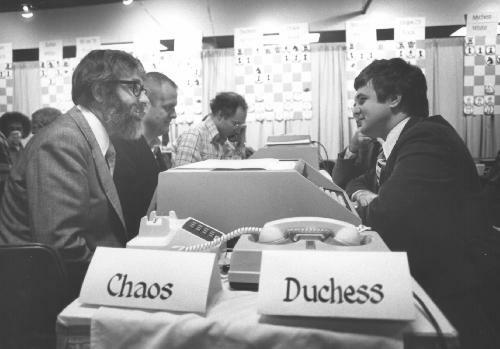 They commented on the games and dipped into their large reservoir of chess related stories and jokes. 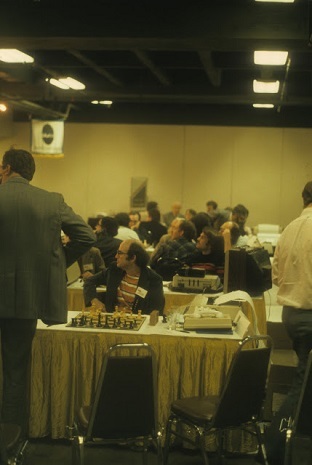 The tournament was organized by Ira Purchis of the Burroughs Corporation, Ben Mittman, and Monroe Newborn. IBM, Burroughs, Anderson-Jacobson, General Motors, and Ford provided partial support of the tournament  . 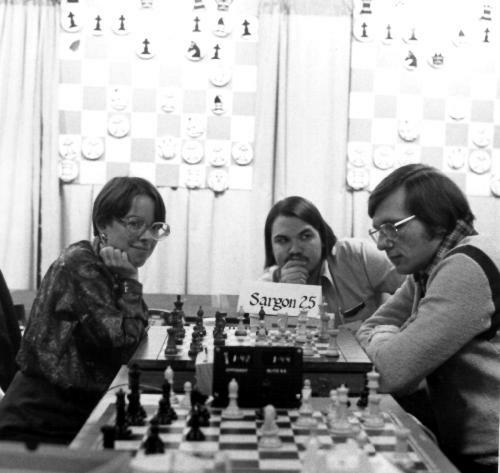 In addition to the chess tournament, ACM 79 was the scene of a most unusual event on October 27, 1979. 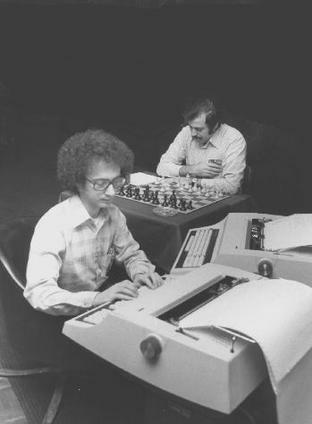 At the suggestion of ACM president Daniel D. McCracken, an exhibition chess game was held between David Levy and a unique team consisting of Chess 4.9 and David Slate. Levy mated advanced Slate in 50 moves  . This page was last edited on 6 November 2018, at 20:07.